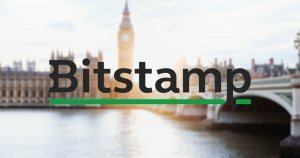 Bitstamp has been approached by buyers quite frequently over the past several years, given its dominance over the European cryptocurrency exchange market and its track record of security, investor protection, and compliance. Bitstamp is a European-based cryptocurrency marketplace that allows people from all around the world to buy and sell cryptocurrencies. It allows USD, EUR, bitcoin, litecoin, ethereum, ripple or bitcoin cash deposits and withdrawals. Nejc Kodrič, the CEO of Bitstamp, said in an official announcement that the company decided to sell its exchange to NXMH due to the shared vision between the twp companies and the history of the South Korea-controlled investment firm of running a successful exchange. In late 2017, NXC and NXMH acquired Korbit, South Korea’s fourth-largest cryptocurrency exchange at a valuation of $300 million. Since then, for over a year, NXC has maintained the operations of Korbit, without the risk of a security breach, conflict with local regulators, and scandals. Throughout the years to come, Kodrič and the rest of the executive team of Bitstamp are expected to remain with the exchange to oversee operations, and business will be run as usual. But, in its announcement, Bitstamp suggested that the acquisition of the exchange by NXMH will strengthen Bitstamp’s positioning for growth, which could lead to a potential expansion outside of Europe into the Asia market, given the success of Nexon and Korbit in the local cryptocurrency exchange market of South Korea. Bithumb, the second largest cryptocurrency exchange in South Korea behind Upbit, attempted to expand into the UK market earlier this year but postponed its plans due to various system and compliance-related issues. The most practical and efficient way of entering the European cryptocurrency exchange market is to acquire a dominant force in the sector. The acquisition of Bitstamp by NXC paves a path towards expansion into Europe, considering the strong banking partners and executive team Bitstamp have established since 2011. Throughout 2018, the crypto market has suffered one of its worst corrections in recent years, as Bitcoin suffered a 69 percent loss in value. Trading activity across major cryptocurrency exchanges inevitably fell, as the volume in the global cryptocurrency exchange market subsided. But, cryptocurrency exchanges are still recording solid revenues and solid profit margins, attracting the interest of large-scale conglomerates. Already, most of Korea’s major cryptocurrency exchanges are operated by the country’s largest corporations. Kakao owns Upbit, Shinhan Bank finances Gopax, MK Consortium operates Bithumb, and NXC oversees Korbit. The acquisition of Bitstamp by NXC/NXMH has shown the strengthening of the crypto market in South Korea and the ambition of local conglomerates to solidify their position in the global crypto market. The post Why South Korea’s Biggest Game Developer Acquired Crypto Exchange Bitstamp appeared first on CryptoSlate.